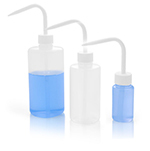 These LDPE driplok wash bottles feature the only venting system that dispenses solvent more efficiently than a standard wash bottle due to its patented two-way ball valve system. A build-up of vapor pressure within conventional wash bottles can force solvents through the spout, causing drippage of flammable materials, creating potential safety hazards. 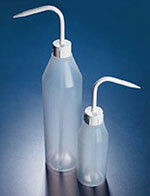 The Azlon® driplok venting wash bottles' venting system consists of a valve specifically designed to allow volatile solvent vapors to escape when not in use, but seals completely when in use to dispense a powerful, spatter-free jet of solvent. These easy to fill wide mouth bottles come labeled with hazard information, or a blank area to write on and customize to suit your particular needs. 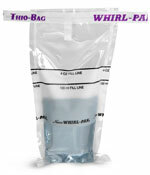 The LDPE wash bottles are sold in packs of either five of the same wash bottles in one bag, or in a variety pack.